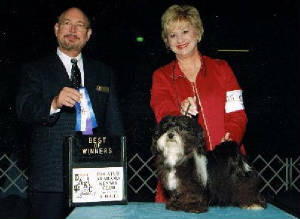 Burney won Best of Breed and Toy Group II his first time out as a special! Burney has matured to 9.5" and about 10 lbs. - all health testing passed.